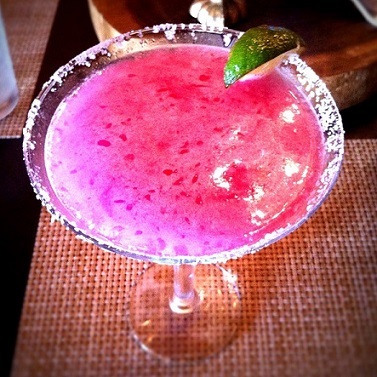 A Prickly Pear Margarita is a really fun and delicious and refreshing item to serve when entertaining, or just to help you relax. Prickly Pear Cactus has been a staple food of Native Americans for many centuries. Records indicate that as far back as the 1500's Native Americans had their own version of a festival where they celebrated the prickly pear harvest. But only lately has the prickly pear fruit become popular to use in western cuisines and beverages. The fruits of prickly pears, called "las tunas," are sold in the markets of Mexico and in parts of the Southwest (U.S.A.). They are eaten fresh or dried, or are processed into juice and syrup and that's what you can use to make these Prickly Pear Margaritas. Prickly Pear juice is sometimes used as a health treatment (it contains flavonoids). 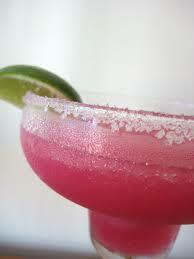 It is more expensive than the Prickly Pear Syrup so people usually use the syrup for Margaritas. If you prefer a drier margarita you may want to use the juice because it is unsweetened. There are margarita recipes below for either option. 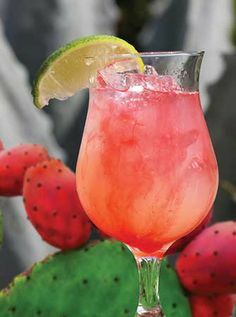 The prickly pear syrup recipes tend to yield more of a traditional, sweeter tasting margarita with a much brighter red color. 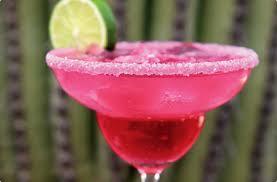 Pour into margarita glass, garnish with lime slice and enjoy! Preparation time: 3 minutes. Serves 1. The pepper for this recipe should be seeded and diced and then combined with the other ingredients in a shaker. Once combined, allow the ingredients to sit for 15 minutes; then add ice and strain out the pepper and the ice before serving. Enjoy your favorite version of these Mexican Margaritas and the company of those you share it with! Did you know? Cointreau is a brand of triple sec produced in France. It is a component of several well-known cocktails. It was originally called "Curaçao Blanco Triple Sec". It made its “appearance” in 1875.